Renzo De Felice firmly believed that historians should “reconstruct” and write history as it really happened, based on the documents and testimonials left by the people who made it, and not how they may wish it had happened. Because of this, his work on fascism and Mussolini has been highly and unjustly criticized in Italy. De Felice responded to the critics, among which was his alleged justification of fascism, in many interviews and books. Intervista Sul Fascismo (Interview On Fascism) is one of such books. Intervista Sul Fascismo is written in an interview format: American journalist Michael Arthur Ledeen asks the questions and De Felice answers them. 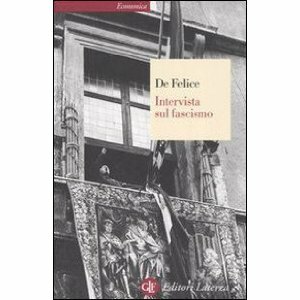 The result is a short book that effectively but succinctly sums up De Felice’s ideas and theories on fascism. The book starts by pointing out the difference between fascism as a movement and fascism as a dictatorship. The former was conservative, while the latter has modernistic tendencies. It then goes on to explain the history of both, how fascism was influenced by the French Revolution, and how it managed to gain popularity among the people. De Felice also explains how the politicians of the time underestimated the dangers of fascism, believing that, once the party was in power, it would lose its revolutionary tendencies. Intervista Sul Fascismo is a little book that anyone interested in the topic should read. Although a basic knowledge of the topic would be preferable, the notes at the end of the book make the interview easy to follow even for those who are approaching it for the first time. Intervista Sul Fascismo by Renzo De Felice is a short book that effectively but succinctly sums up De Felice’s ideas and theories on fascism. Written in an interview format, it is extensively noted and easy-to-follow for both academic and casual readers.